This book is useful for those adults who are continuing to seek growth through understanding the trauma of their own past, or for pastors or other leaders who want to improve their own ability to understand and benefit those they come into contact with who have suffered trauma. 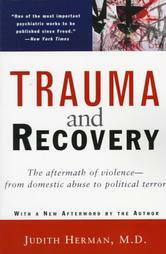 The book is not a quick, easy read because of the concepts communicated and because of the weight of the topic. For those adults who are continuing to seek growth through understanding the trauma of their own past…or for others who want to understand those who have suffered trauma.